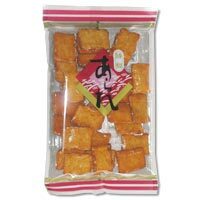 Japanese senbei(rice cracker) is made of steamed rice, grilled to be pleasantly chewy. The senbei is grilled with soy sauce. Delicious as a traditional Japanese snack.